← THE DEAD: A BREAK! Are you ready to become the newest resident of the House? Well, obviously, now we have yet another (popular) way of getting info out on THE DEAD, and hopefully spreading our readership to a larger audience. Beyond that, we also have a more accessible method of providing our readers with extra content, promotions, news and cool prizes! So go check out the page, like it, follow what we’ve got coming up and (lest you forget) keep reading the story! We’ve got some weird rooms yet to explore, and we would love if you’d join us for the journey. 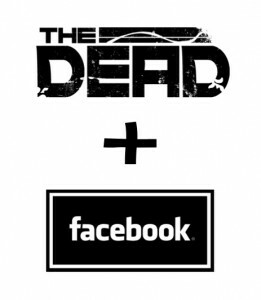 Again, be sure to jump over the THE DEAD Facebook Page and give it a gander. We’ve already got a good chunk of content over there and will be adding more on a regular basis!